A Lead Actor in the Broadway Touring Production of “The Sound of Music” Finds a Deeper Understanding of the Beloved Work | Theater | Style Weekly - Richmond, VA local news, arts, and events. In the realm of musicals, there's perhaps no work more beloved than "The Sound of Music." Inspired by the real-life von Trapps, the tale of their family, love and flight from Nazis has long been a fan favorite, first starring Mary Martin on Broadway, then as a classic film with Julie Andrews and Christopher Plummer. For those who missed out on childhood, "The Sound of Music" is the story of Maria, a young Austrian woman studying to become a nun. After being sent to take care of a widower's seven children, Maria becomes an ambassador of love and song, melting even their father's frosty heart. If that doesn't sound like enough of a plot, there are also Nazis, who want the widower, Capt. Georg von Trapp, to join the German navy. As the last collaboration between composer Richard Rodgers and lyricist Oscar Hammerstein II before the latter's death, "The Sound of Music" may also be their most enduring work. Songs such as "My Favorite Things," "Do-Re-Mi" and "The Sound of Music" have their own lives outside of the musical; Salzburg, where the story takes place and parts of the film were shot, is continuously beset with tourists searching for their own private edelweiss. It's a legacy of which actor Mike McLean is fully aware. This weekend, he will star as Capt. 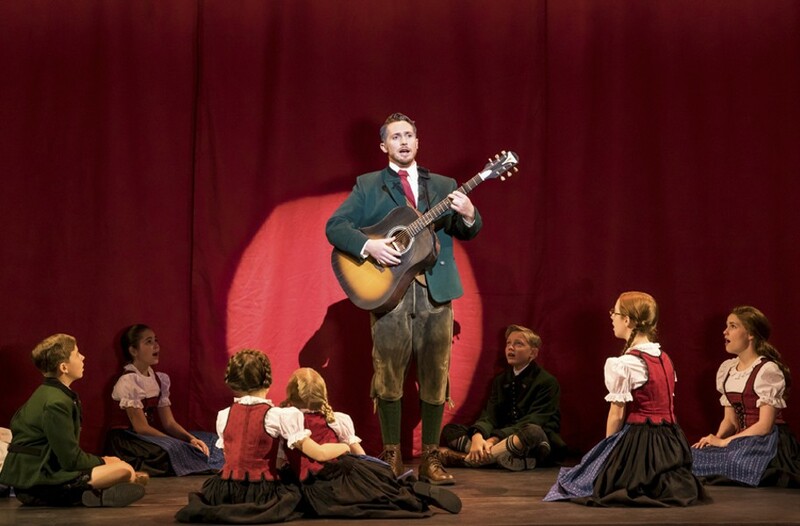 von Trapp in the touring Broadway production coming to the Altria Theater. "This is by far the best thing that I've ever been a part of," says McLean, speaking by phone from Jacksonville, Florida. "It's the best role that I've ever had, and it's a dream come true to play it. The show itself is just bursting at the seams with talent and beautiful music." While McLean grew up watching the movie version, he says he didn't realize how meaty the show was until he began rehearsals, especially regarding his own role. "[Capt. von Trapp] starts off the show as this very hurt individual because his wife has died and left him with these children. … It's painful to be around them," he says. "It isn't until this new governess Maria shows up and brings music back into his home that all of the sudden he sees his children in this new light." Though this staging is still the "Sound" audiences know and love, McLean says the telling will flesh out certain aspects of the show. "What's special about this production is that we have really tried to focus on the story and the characters," he says. "There is more to this story than you think you know." McLean lauds the technical elements of this production, including the costumes, designed by 21-time Tony nominee Jane Greenwood. "The costumes are impeccable," McLean says. "They're the best pieces of clothing I've ever worn." From his vantage point playing the patriarch of the von Trapp clan, McLean says the musical is as much about self-discovery as it is a love story. "Maria's finding out that she's actually not meant to be a nun," he says. "She's actually meant to be part of this family, and it's OK to fall in love with the captain. The captain is rediscovering his love for his family." And, at a time when Nazis have begun to make headlines again, McLean says there's an important message behind the musical. "The Sound of Music" plays Dec. 8-10 at the Altria Theater, 6 N. Laurel St. For information, visit altriatheater.com or call 800-514-3849.